When I saw this TED Talk: The Power of Introverts by Susan Cain it really gave me pause. Before watching this talk I thought that introverts were nerdy, socially awkward loners who preferred their own company to those of friends. And let’s face it, society praises extroverts and shames introverts, so who wants to admit being the latter? 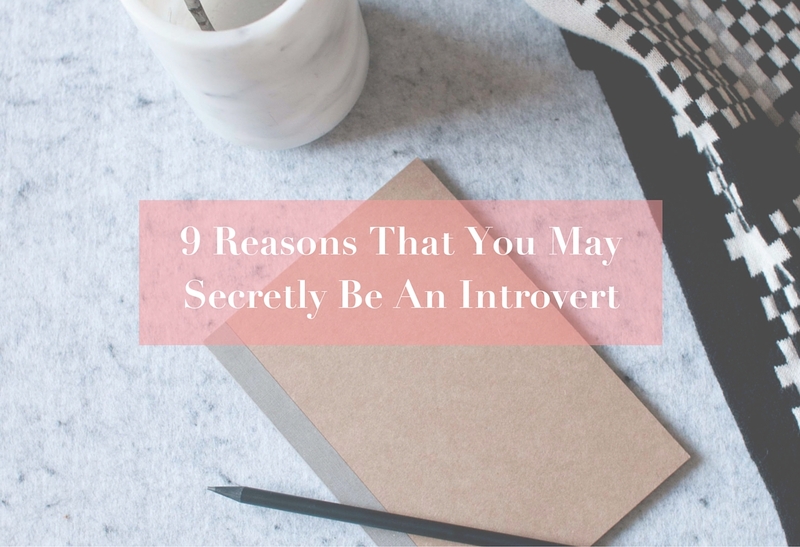 While there is a continuum on the extrovert/introvert line – no one can be totally one or the other – watching the TED Talk video I learned that being an introvert is not a bad thing. It’s not about your social skills, it is more about how you respond to stimulation, what gives you energy (or zaps it) and what environments work best for you to be productive and creative. In fact introverts make great leaders – a far cry from the stereotypical wallflower in the corner. I raised my hand to several of the 23 signs in the article. Could it be that I am a bit of an introvert? 1.You find small talk incredibly cumbersome. As I load my groceries onto the belt at Whole Foods, I mentally prepare for the friendly chatter that is sure to come from the clerk about the weather or weekend. I have gotten better about answering back within a socially acceptable length but really I would be fine with a “hello” and flashing a really nice smile. 2. Downtime doesn’t feel unproductive to you. I need “me time.” If I don’t get it, I go crazy. 3. Giving a talk in front of 500 people is less stressful than having to mingle with those people afterwards. Mingling means small talk. See point number 1. 4. You start to shut down after you’ve been active for too long. I have tons of energy and can go for a very long time, but I am very in tune with my body and spirit and will honor myself when I am running on empty. During the course of a normal weekday, this happens around 9:00 p.m.; that’s when I start to shut down and when I need to read or engage in quiet conversation with my husband. If my daughter is not in bed and is still talking non-stop at 10:00 p.m., I am teetering on the brink. 5. You screen all your calls — even from friends. You may not pick up your phone even from people you like, but you’ll call them back as soon as you’re mentally prepared and have gathered the energy for the conversation. Luckily the people that know and love me call anyway and will leave a message like “I know you don’t like to talk on the phone but…” And then I call them back when I am mentally prepared. I do like talking to my friends – I just don’t like being caught off guard. I prefer face-to-face communication; I know that I am going to see you and I am fully prepared and happy to be engaged in conversation. 6. You have a constantly running inner monologue. I’m always dictating notes to Siri or writing on scraps of paper trying to empty my brain. There is a lot going on in there! 7. You’re a writer. Yes. And in general I am most productive and creative when I have periods of solitude and silence. Although I don’t want to always be alone…. 8. You alternate between phases of work and solitude, and periods of social activity. As much as I relish my own company, I am also always organizing dinners, parties, lunches and get-aways with friends. As long as there is a balance, I am happy. 9. You go to parties -– but not to meet people. I go to parties to see the people that I already know – the people who invited me and other friends that I haven’t seen in a long time. Sometimes it is nice to meet new people and make new friends, but that only happens if they engage in real conversation. See point number 1. This song by Alessia Cara, “Here”, is currently one of my favorite songs. Besides a wickedly hypnotic beat, the lyrics poetically demonstrate how an introvert can feel at a party. 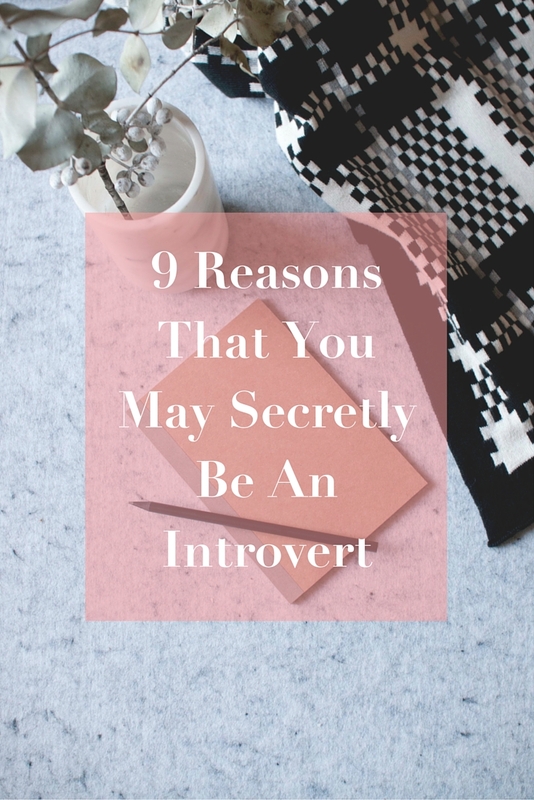 What about you – are you secretly an introvert? Or are you more on the extrovert end of the spectrum? P.S. You may also like to read another tale of misinterpreted introvert behavior, Try To Be Nice And Smile. Yes, I’m an introvert. I’m good and social when I’m prepared to be but if not then I’m letting calls go to voice message and I’ll call when I’m mentally ready. They are usually disturbing my thoughts and me time. I know they don’t know that. LOL…It took a long time to figure out that it’s Ok that I don’t require a lot of human interaction…because I’m sensitive to people’s energy. Also crowds are exhausting to be around…small settings are best. Kenyata I could have written that myself. And we’re okay! Oh Yes! I’m certainly a secret introvert. I talk loudly and am usually laughing in a crowd. But my big mouth is just a cover for how my spirit is crushed every time I have to interact with anyone. I mean, people are cool. I just don’t like them much. LOL But I don’t think many folks know that about me. I definitely enjoy solitude more than large groups. “People are cool; I just don’t like them much” LOL – I could have written that same thing! My son and I were talking the other day about how we live in our heads most of the time and like it there.